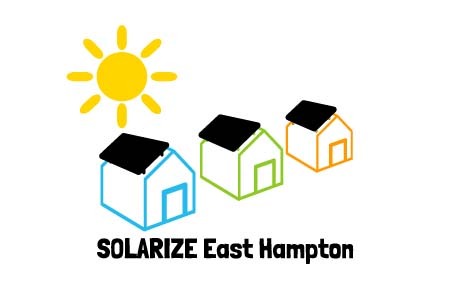 Solarize East Hampton is a program that makes it easier and more affordable for East Hampton homeowners and businesses to install solar panels by offering group rates below market prices. In 2018 the Town of East Hampton participated in a Solarize program supported by the New York State Energy Research and Development Authority (NYSERDA) under Governor Andrew M. Cuomo’s NY-Sun initiative which will invest up to $1 billion in solar power through 2023 to significantly expand solar installations across the State. NYSERDA encourages locally-organized community outreach aimed at getting a critical mass area of homes and businesses to install solar and obtain competitive pricing, thereby lowering the cost. Historically, Solarize campaigns lower the cost of solar 10 to 20 percent. As part of the NYSERDA program, the Town of East Hampton selected GreenLogic Energy, a highly qualified, local solar firm as its designated Solarize installer through a thorough and competitive pre-qualification process. The Town of East Hampton has opted to carry on a Solarize program with GreenLogic Energy so that residents and businesses who sign up for solar installations through Solarize East Hampton will continue to be able to take advantage of group rates below market prices. Click here if you are interested in Solarize or other program offerings and would like to be contacted with program specific details and sign-up info. Energize East Hampton © 2019. All Rights Reserved.